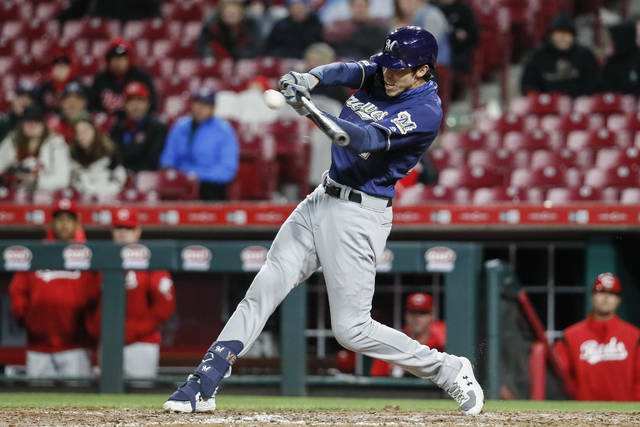 CINCINNATI (AP) — Christian Yelich was held without a homer for the first time this season, but the Cincinnati Reds couldn’t get him out with the game on the line. 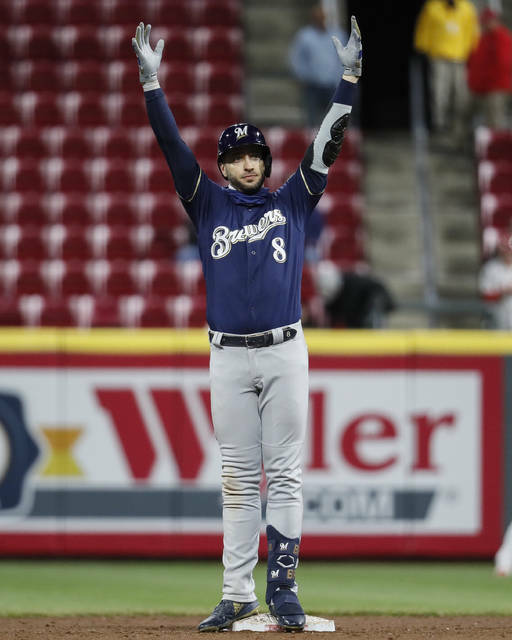 He doubled with two outs off Raisel Iglesias (0-1) and came around on Ryan Braun’s second double of the game. Tanner Roark gave up three runs in the first inning and lasted 4 1/3 innings in his debut with the Reds, who got him from the Nationals as part of their offseason overhaul of the rotation. 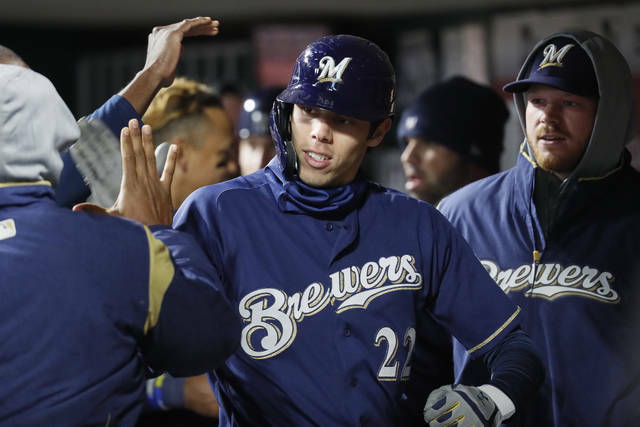 Milwaukee sent nine batters to the plate in the top of the first, which lasted 20 minutes. Jesus Aguilar’s two-run single highlighted the rally.